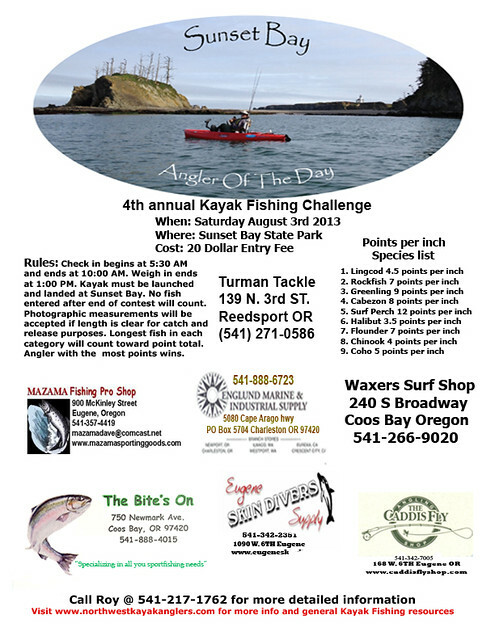 Visit northwestkayakanglers.com for more info on this fun event coming up August 3rd. Fishing has been great on the coast stay tuned for more coastal reports and activities in the month of August. This entry was posted in Fly Fishing Contests, Oregon Fly Fishing Clubs and Events. Bookmark the permalink. Thanks for posting this up on your blog and I appreciate your support for my tournament. It grows every year and i look forward to having you guys involved for years to come.